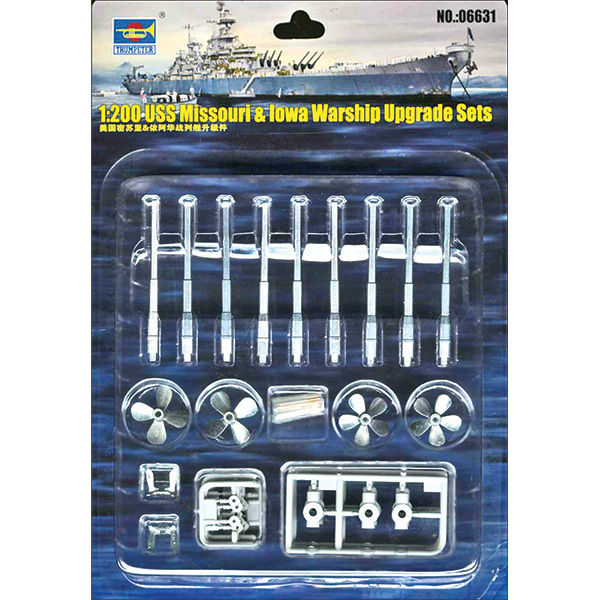 Includes 29 turned metal gun barrels: 9 main battery guns (16 inch type) and 20 secondary battery guns (5 inch type); 2 white metal anchors and 4 white metal 'screws' (propellers): 2 four-blade outboard and two five-blade inboard; and 29 injection-molded pivots for metal gun barrels. Trumpeter no. TR06631.